The ringtone of your cell phone is to some extent an important part of your life. Though most phones come with a series of ringtones, they sometimes can’t meet your taste for their simple melody and common tone. When looking for a more stylish and unique ringtone, you may wonder whether you can make one by yourself. Luckily, by using a free online ringtone marker, creating a custom ringtone won’t be too difficult for you. 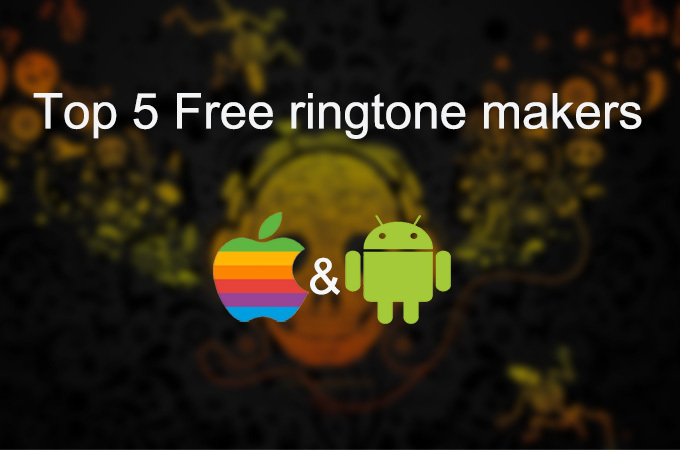 And this post will introduce five great free online ringtone makers to you. 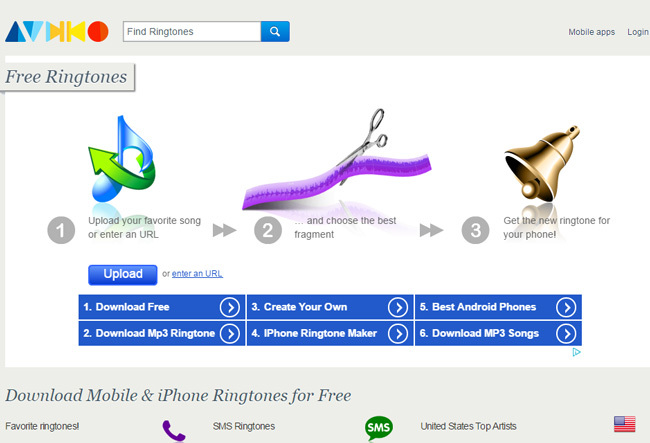 If you have a craze for making personal ringtone, you must know Ringtonemaker.com, which has been around for years. 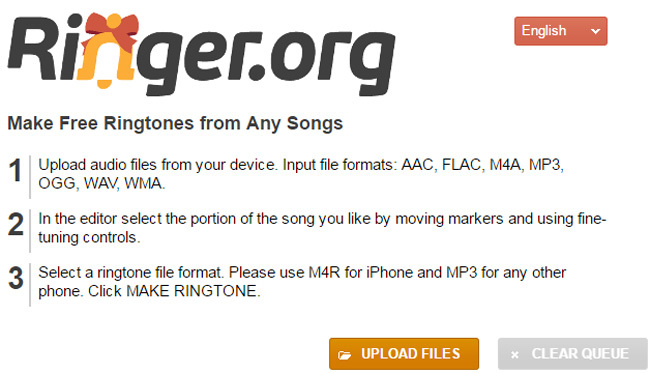 Make Your Own Ringtone supports a wide range of formats, such as AAC, FLAC, M4A, MP3, OGG, WAV, and WMA. As a ringtone maker, this tool is professional for its functions meanwhile being user-friendly for its intuitive interface. When making a ringtone, you could first select your files from your computer disk, mark start and end points, and then save your creation. 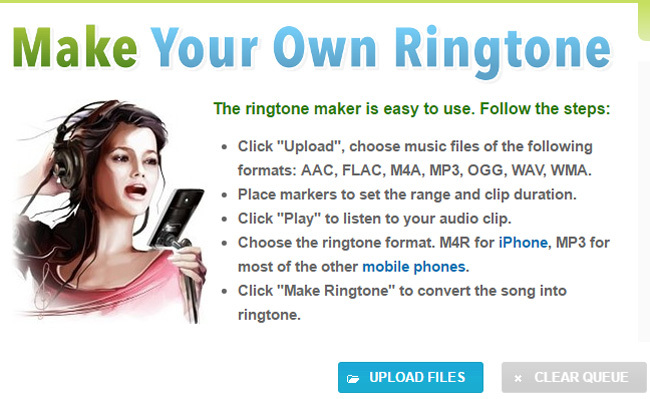 So if you want to quickly make a ringtone with a few clicks, this free ringtone maker can be the best choice. Doesn’t provide ringtone for download. Ringer is another tool which allows you to make any song you like as your ringtone. This ringtone maker has a similar interface to Make Your Own Ringtone, which means that you can choose one from the two if you prefer the simple editing tools. With the help of Ringer, you can first upload a song of different formats from your computer disk, such as AAC, FLAC, M4A, MP3, OGG, WAV, and WMA, and then edit it by setting the start and the end time. In addition, this free online ringtone maker provides many languages for users to make a choice. Doesn’t provide ringtones for download. Zamzar is another site that focuses on making ringtones. This site provides more detailed information of the audio files you want to convert, meanwhile supporting you to export them to different formats, such as AAC, AC3, FLAC, M4R, M4A, MP4, OGG, WAV, and WMA. 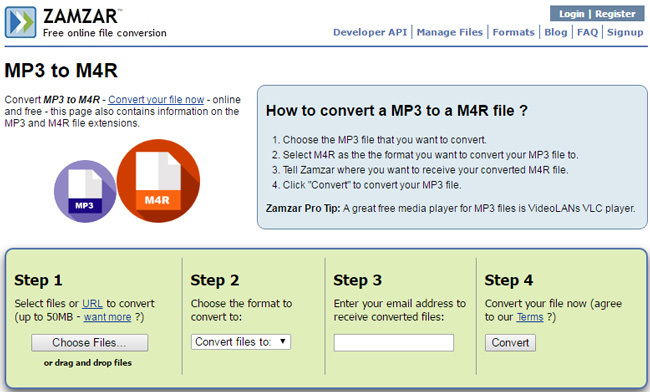 By following the step-by-step instructions, users could finish the conversion without hassles. And if you still have some trouble in using this ringtone maker, you could ask for help on their FAQ page. Actually. It is a common knowledge that a ringtone can’t be too long, and the recommended length is usually 40 seconds, but this free online ringtone maker doesn’t allow users to do simple editing, and you can’t cut your audio file, which is a big disadvantage over other products. Being different from former three sites, which only offer their users a simple editing function, Audiko is a more powerful ringtone maker as it allows users not only to upload songs from their disks, but also to download ringtones for free. For those folks who are not willing to spend time editing, but want to own a custom ringtone, Audiko could be a good choice. If you want to use this free ringtone maker online, you have to create an account first. And it requires you to log in every time you enter this site. Provides popular ringtones for download. Melofania.com is the place where you can find all the latest ringtones for both iOS and Android devices, as well as creating your very own ringtone. All you have to do is upload your favorite song, select the desired fragment and save it in either the MP3 or M4R formats. 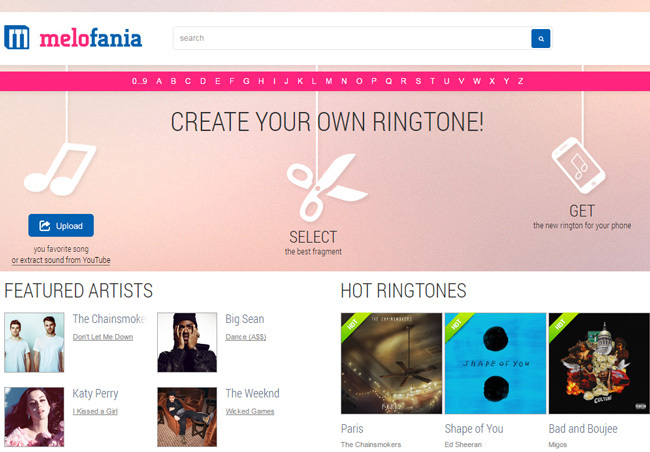 Melofania also provides users the step-by-step instructions to help you customize ringtones, so even if you are a beginner, you can quickly know how to make a ringtone with the help of this tool. All the five ringtone makers introduced in this post can help you make ringtones with ease. Hope you can find a suitable free ringtone maker after reading this post. All in all, creating a custom ringtone is an easy and interesting task so why not give it a try!